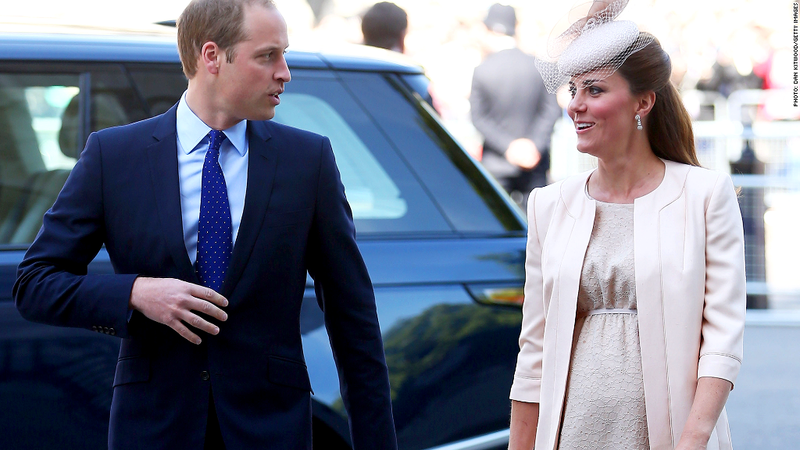 Prince William and the Duchess of Cambridge are due to welcome their first child in July. The impending birth of the royal baby will be a big moment in history and likely an even bigger celebration. It will also be a chance for some people to win big money. As Prince William and the Duchess of Cambridge prepare to welcome their heir in mid-July, thousands of people are betting on when the royal bundle of joy will arrive, what its name will be and whether it will have its Uncle Harry's signature ginger hair. William Hill, one of the world's biggest online betting sites, has already taken in more than £20,000 in bets, according to spokesman Rupert Adams. The vast majority of bets average less than £1. "Obviously the closer we get to the big day, the more interest we will see," Adams he said. He expects the most money to be bet on the baby's name, followed by its size and the birth date. So far, Alexandra is the favorite with 5/2 odds. Diana and Elizabeth, for Prince William's late mother and grandmother, trail close behind. A small few could win big if William and Kate go with dark horse choices Waynetta or Chardonnay. Odds are at 500/1 and 250/1, respectively. Most of the royal gamblers think the couple will have a teeny tiny brown-haired princess, but the odds are split between which royal will carry the future queen or king out of the hospital. Adams is just hoping that the name is kept secret, unlike when Prince William was born. He said William Hill got taken to the cleaners in 1982, when the prince's name leaked three days before he was born. They lost nearly £10,000 as the price plummeted from 33/1 to 3/1. They paid out £30,000 total around his birth. But try as they might, Adams thinks royal snoops are unlikely to unearth the name early this time around. "The news they were engaged did not leak, so they must run a very tight ship."